This piece outlines the who, why and how of a scalable, grassroots multi-local marketing campaign. For startups looking to launch services in a new city, for national brands in need of regional events, or for businesses investing in city-specific PR, local sponsorships deliver new customer reach at the neighborhood level. Three types of business target local customers: national chains with brick and mortar stores, tech startups that grow city-to-city (often looking to replace national chains), and local businesses. Below are personas for each. These businesses, such as doctors, lawyers, roofers or successful mom-and-pop shops in City X are big enough to have a marketing budget, and may even be able to pay an agency, but they’re also not going to have the sponsorship budget that a national chain would. This type of client, like web national businesses, wants to rank in their city on Google, and, like national chains, they also want local branding. They face competition from one or both of these areas (depending on their business model), and they depend on community loyalty for their business. Some small businesses may already be involved in their local community as a result of their owners being locals, but others may be looking to expand their reach and find new local opportunities. These are companies who operate nationally but do not have brick and mortar locations in each city. They are often startups, looking to provide a tech alternative to a local problem, whether it be finding good food, a decent repairperson, or a pet sitter. 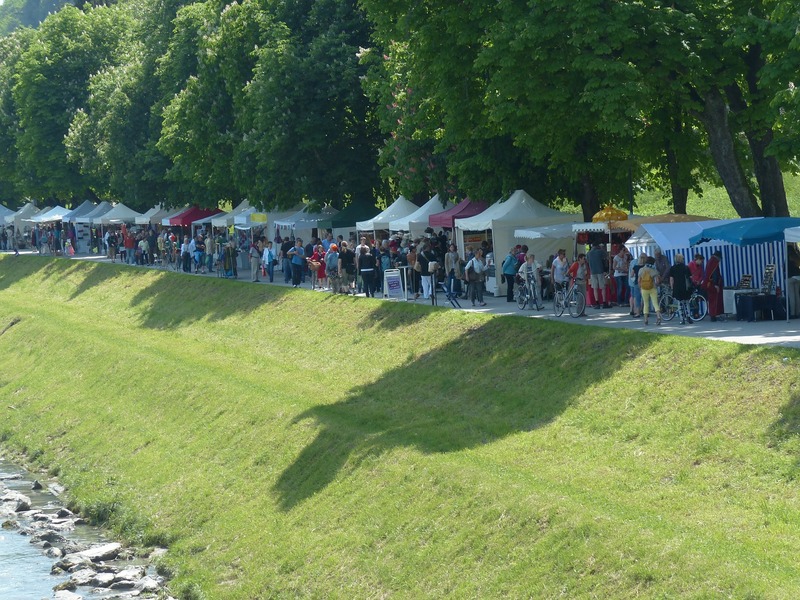 In order to infiltrate local markets, web nationals need to rank well on Google, establish local social followings, and they need to develop a local presence in each city, which may entail local event attendance. If they can’t rank well against their competitors, and if locals don’t trust them, they will not gain ground over existing competition in each city they expand to. Handy is a website and app that connects home cleaning services to residents in 35 US & Canada locations. These businesses operate and expand at scale. They’re looking to grow their customer base in multiple cities at once. They’re often working with decent budgets, but on a limited timeline (in between investment rounds) and are looking for measurable growth in a relatively short period of time. These large brands already have hundreds, maybe thousands of requests for sponsorships every year in cities across the US. To handle these requests, they’ve created a barrier to entry that includes a sponsorship request form that local events and organizations have to fill out, listing the category, reach, size, and other details of the request. Most of these corporations have a full time employee (maybe more than one) whose job entails looking through these forms, choosing sponsorships, and coordinating them. The problem – the process is unwieldy. Organizations are submitting data that’s inconsistent from city to city. In an unorganized system, the sponsorships coordinator (or some unlucky marketing intern) has to weed through all of this information to pick and choose the best sponsorships for their budget. Their “weeding out system” also provides an unintentional bias against underfunded and understaffed nonprofits and events who may not have the resources to fill out these individual forms for every potential sponsor. Unlike web national businesses, these clients are generally not as focused on local rankings or specific ROI measurement. Instead, their local marketing is seen more as a branding move. However, this missed connection between goodwill and ROI means that great marketing opportunities may be left on the table. It’s never too early to think “brand.” Even if you’re a startup. In fact, especially if you’re a startup. Brand, and your brand story, are will help differentiate your product and its pitch from competitors in the space. HomeHero, a California startup that helps children of seniors find in-home care, explains on its about pages, and throughout its press mentions, that its cofounder, Kyle Hill, came to the idea after a home aid worker stole from his grandmother. HomeHero is a company that provides a service, but they’re also a brand, with a mission to protect seniors. Homehero’s selling point is also their mission. What intrinsic need does your product or service serve, and how is this need fulfilled in the nonprofit space? What common concern do most of our customers have? How can we serve this concern in local communities? Where do our customers gather? How can we be there, and make it a better space? Your mission doesn’t have to be as serious as preventing theft from senior citizens. Coca Cola cares most about our lives tasting good, and their philanthropic arm reflects those values by supporting life-improvment nonprofits around the world. Local sponsorships offer marketing packages to fit any company’s goals. Whether you want to reach Milwaukee elementary school parents via email marketing or garner more millennial impressions of your social media pages in San Diego, local sponsorships go beyond targeting advertising services; they reach people who are truly embedded in a community. Hint: if you’re not able to attend events in each city, get in touch with local bloggers and offer your free tickets to them. The bloggers will be happy to enjoy free tickets, and the event coordinators will be excited to hear that a local influencer is attending. We don’t recommend demanding a brand mention, but a mention is a potential result. You can get more specific, such as inurl:pta if you want. Maybe we want to see everything Denver has to offer. 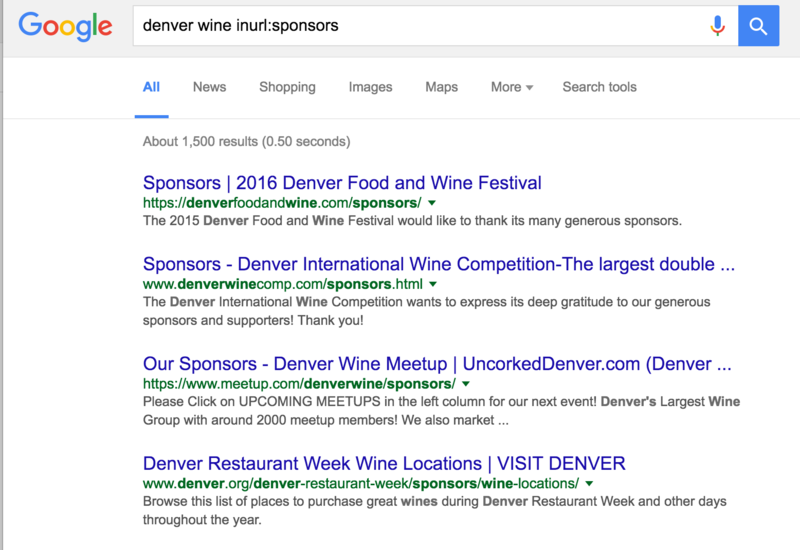 Maybe we want to fine events that cater to wine lovers in Denver. 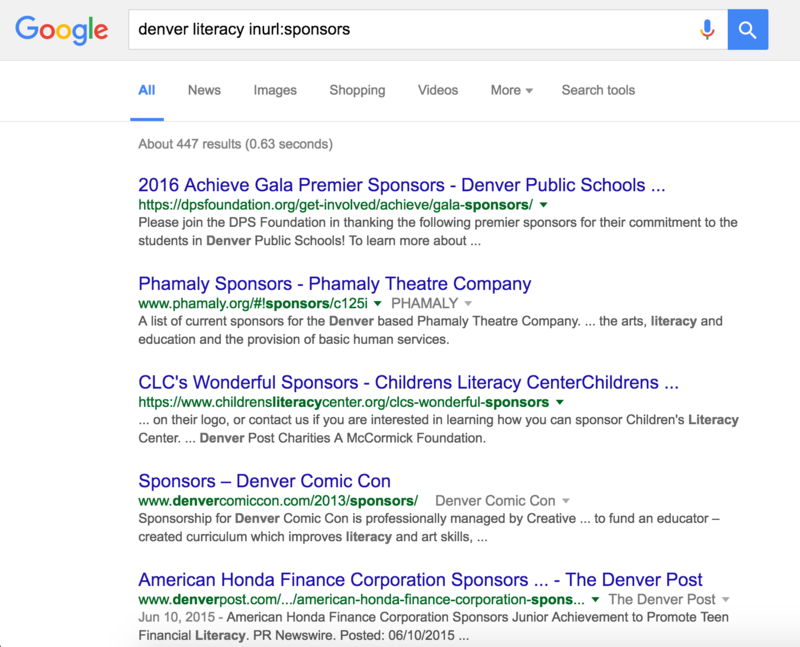 Maybe we want to find events or organizations that support literacy in Denver. Meetup.com can also be a great gateway into locals with common interests. Meetup sponsorships are best for companies who can send local representatives to coordinate highly specialized sponsorships, as meetups tend to be more granular and less streamlined than traditional organizations. Once you reach out to organizations whose mission or customers match your own, you’ll receive a listing of sponsorship levels. While many organizations (more than 82% polled by ZipSprout) do customize sponsorships based on companies’ marketing goals, these sponsorship levels will give you a rough idea of the costs associated with that partnership. Many of these pdfs also include audience size, member demographics and other organization statistics. Here’s an example from the Oregon Chapter of the Alzheimer’s Association. Internally, create a formula based on each marketing departments advertising budgets. As an example, here’s ours, based on going rates for various ad platforms and the time and budget it would take for us to secure various marketing benefits on our own. *ZipSprout gives tickets to bloggers in hopes (but without guarantee) that they’ll write about ZipSprout and the event they attended. This sponsorship, which costs $1,500, is worth $1,850 in marketing budget to ZipSprout. So it would be a viable opportunity. Once you’ve decided which local partnerships make sense, set up a spreadsheet to ensure proper forms and payment have been submitted for each. You may also want a column to keep track of when marketing benefits are fulfilled. Determine whether or not your accounting department needs W9’s for sponsorships over $600. Most nonprofits we work with are happy to provide these documents upon request. Consider using PayPal for payment to save time writing (and waiting on) checks. Be clear with the organization as to whether or not your company’s representatives will be attending an event and/or sending handouts. If you’re not attending, see if you can donate your tickets to local bloggers, or your booth to another nonprofit. Consider writing a blog post round-up of the community events you’re sponsoring in a particular city. At the very least, help publicize the organizations or events on your social media channels, and they’ll likely get you more local social media support. 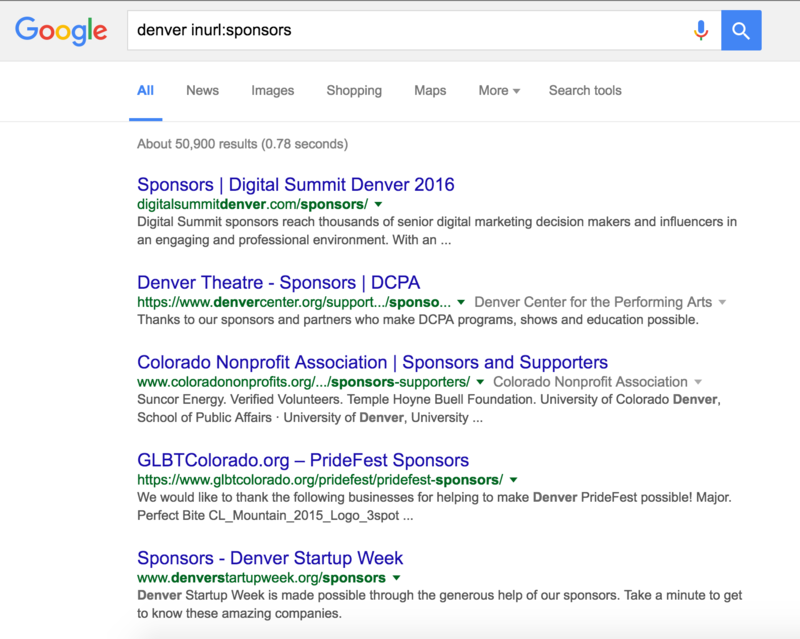 If online advertising is a browser cookie, local sponsorships are thin mints. While the former is a must-have of modern marketing, the latter leaves an unforgettable, and fresh, impression. 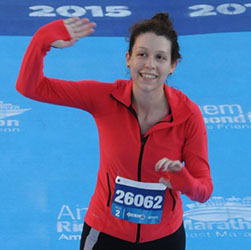 Local sponsorships provide reach without silos. If you can combine the efforts of local PR, social media and SEO teams, you’ll find local opportunities that can stretch your region-based budget. Having a mission or target customer will help narrow down opportunities, and a formula will help your team find the right level of sponsorship. 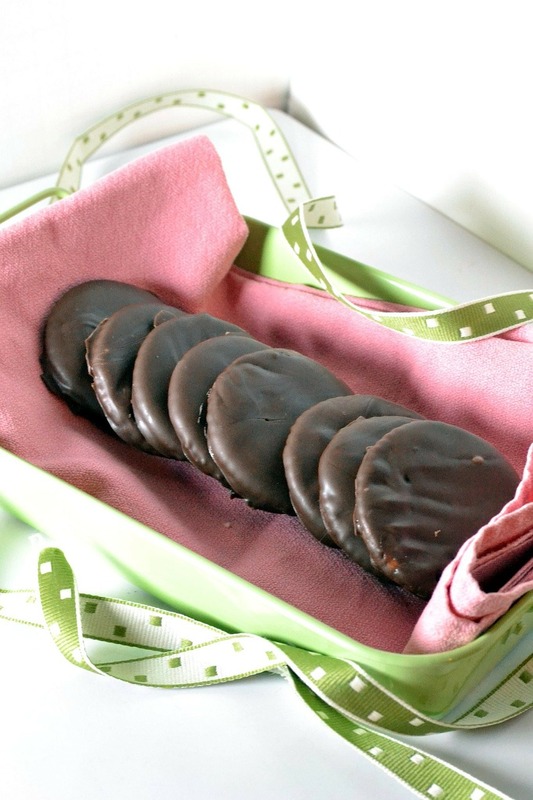 Browser cookies may follow your site visitors around the web, but customers will come to you if you offer thin mints. Tons of Fun and Tons of Lobster—Literally.